Gita Limbu was born a paraplegic and has been using a wheelchair since she was a teenager. 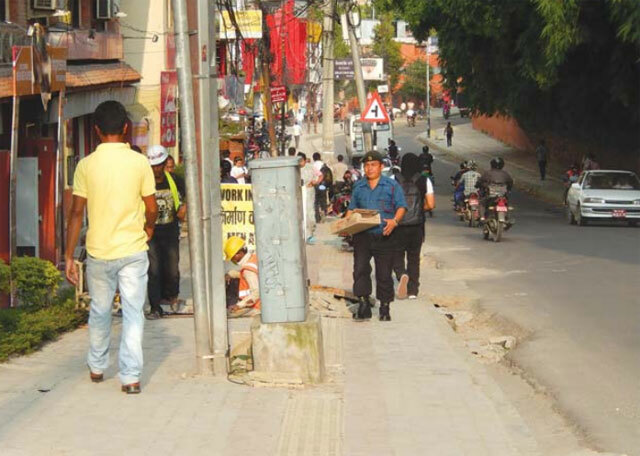 Now 28, she remembers how hard it was to move around Kathmandu’s thoroughfares both because of the lack of infrastructure and the look of other people. She not as embarrassed these days because people are less judgemental and they even help by pushing or lifting her wheelchair because Kathmandu is not exactly disabled-friendly. “Kathmandu still lacks infrastructure for the disabled, the roads are in bad condition and it is worse during the monsoon,” Limbu says. Banjade, 36, also wishes Kathmandu was a more disabled-friendly city. He deplores the lack of information when sidewalks or roads are being repaired. “Last week as I was going back home and fell into a hole which was not in the pavement in the morning,” he says. Now, there are organisations like the Centre for Independent Living (CIL) which have been trying to promote disabled-friendly facilities in public transport and the streets. Its director Krishna Gautam says it is a disabled people’s organisation run by the disabled themselves. After regular lobbying with other partner organisations, Gautam considers things are on the right track. 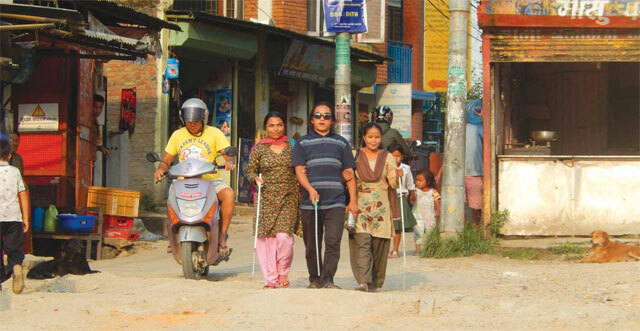 Nepal signed the UN Convention on the Rights of Persons with Disabilities in January 2008, and the government has approved accessibility guidelines proposed by CIL in 2012. Still, Gautam regrets the lack of progress in upgrading infrastructure. For example, one of the few tactile pavements in town (pictured) is blocked by an electric pole. And it has to start with Singha Durbar, where some ministries have made their offices accessible to the disabled. Sajha Yatayat has ordered buses that will have space for wheelchairs behind the driver. 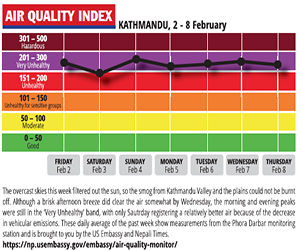 The moving force behind these initiatives has been Rudra Singh Tamang Chief of the Kathmandu Metropolitan City (KMC).